In ancient times, people began letters to one another with a salutation, or a greeting. The salutation would consist of the names of the authors as well as the intended recipients of the letters, and in the case of the epistles of the Bible, blessings were also pronounced on the readers. When examined more closely, however, we find that the salutations of the apostles and writers also reveal their theology, their understanding of Who God is. We find this phrase in Romans 1:7, 1 Corinthians 1:3, 2 Corinthians 1:2, Galatians 1:3, Ephesians 1:2, Philippians 1:2, 2 Thessalonians 1:2, 1 Timothy 1:2, 2 Timothy 1:2, and Philemon 1:3. Note that, where Muslims need to keep praying for peace upon their prophet Muhammad, in this salutation, grace, mercy and peace come from both the Father and the Son. 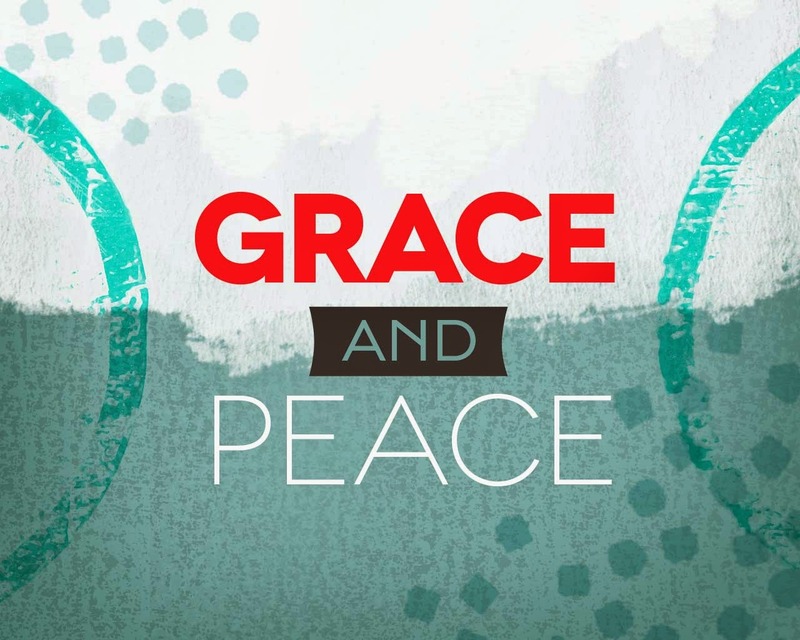 The very same grace, mercy and peace (shalom) that flow from the Father flow from the Son. The alert Muslim will spot the problem for Islam immediately. This is what Muslims call shirk, or the association of another with Allah. But what is shirk for a Muslim is the complex unity of the God of the Bible which, unfortunately, Muhammad and his Allah failed to grasp. Yes, He did say it. When Jesus said, "If you ask Me anything in My name, I will do it," in John 14:14, He wasn't kidding. When Jesus said, "The Father and I are one” in John 10:30, He meant it. The truth of the Scriptures does not change with the passage of millennia. Just as Father, Son and Holy Spirit have been co-equal, co-eternal and co-substantial in eternity, so They will always remain One God, whether Muhammad sought to understand it or not. And so when Paul prays blessings of grace, mercy and peace for his readers, Christians are fully aware that those blessings flow from the One God. But let us see if Jesus is God in any more of the greetings. 4 and who has been declared to be the powerful Son of God by the resurrection from the dead according to the Spirit of holiness. We will cover the apostle's declaration in v. 1 later, but in verses 3 and 4 we see him naming Jesus as the Divine Son of God Who was raised from the dead. Jesus is also named as the Son in Colossians 1:3, 1 John 1:3, and 2 John 1:3. But we also see the Triune God in vv. 1-4, where the name "God" is a reference to the Father and the Son is raised by the Spirit. So the Trinity is named in what is really just a simple greeting. 2 To God’s church at Corinth, to those who are sanctified in Christ Jesus and called as saints, with all those in every place who call on the name of Jesus Christ our Lord—both their Lord and ours. Next, both 1 Thessalonians 1:1 and 2 Thessalonians 1:1 refer to "the church of the Thessalonians in God the Father and the Lord Jesus Christ." Again, this is "shirk" for the Muslim, but in the complex unity of the Father with the Son, the church is in God, both Father and Son. The Bible repeatedly refers to the church being "in God," "in Christ," "God's church," "His church," "the church of Jesus Christ," etc., making no distinctions between them. 4 To Titus, my true son in our common faith. 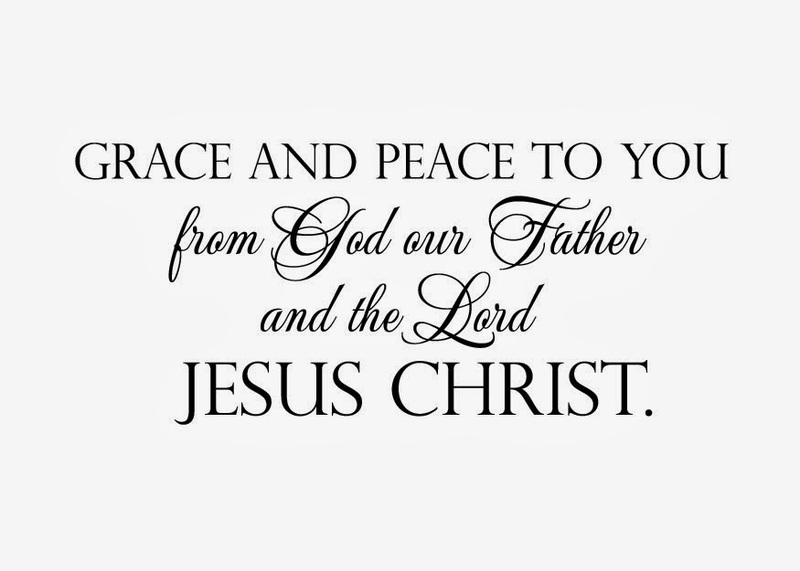 Grace and peace from God the Father and Christ Jesus our Savior. I love this one. In verse 3, Paul says God is our Savior, then in the following verse he says Jesus is our Savior. Could the Bible be any clearer? Jesus and the Father are one! 2 In these last days, He has spoken to us by His Son. God has appointed Him heir of all things and made the universe through Him. 3 The Son is the radiance of God’s glory and the exact expression of His nature, sustaining all things by His powerful word. After making purification for sins, He sat down at the right hand of the Majesty on high. The Book of Hebrews is explicit about the deity of Jesus. That is why Muslims will quote only one verse from this entire -- and lengthy -- book. And when they quote that one verse, they twist it to mean something that the rest of the Bible clearly refutes. But I digress. Returning to the salutation in Hebrews 1, verse 2 names Jesus as the Divine Son of God and Creator of the universe. I doubt that verse 3 could be any more explicit, as it describes Jesus in terms that would never befit a human being and then says Jesus "sustains all things by His powerful word." As though that was not enough, the final part of the verse tells us that Jesus shares the power, throne and authority of God. The rest of the chapter goes on to erase any doubt whatsoever that Jesus is God. Which is likely why Muslims don't read it. 1 James, a slave of God and of the Lord Jesus Christ: To the 12 tribes in the Dispersion. Greetings. Think about this for a second. Or two. James began his epistle with the words, "James, a slave of God and of the Lord Jesus Christ." And Jude started his with, "Jude, a slave of Jesus Christ and a brother of James." Now, the James who wrote the Book of James is technically Jesus' half-brother. James was a son of Joseph and Mary, and Jude, author of the Book of Jude, identifies himself as the brother of that James. Both men had lived the first parts of their lives with Jesus as an "ordinary" brother. But when Jesus turned 30 and began His ministry, life turned upside down for His brothers and sisters (see Matthew 13:55 and Mark 6:3). At one point, they even sought to keep Him from preaching, teaching and doing miracles. (see Matthew 12:46-47). This shows us that James, Jude and their siblings were not always believers in Jesus. But now here is Brother James, who writes that he is "a slave of God and of the Lord Jesus Christ?" "A slave of God... and of my brother?" Jude, too, writes that he is a slave of his brother, Jesus! If that hasn't registered yet, give it a moment to really sink in. Two members of Jesus' earthly family called themselves "slaves of Jesus Christ." When they wrote those words and lived them out, these two First Century Jews who worshiped at Herod's Temple were unabashedly calling Jesus God. But let's keep analyzing this declaration. Can a Muslim call himself a slave of God and of Muhammad? The answer would be a very loud NO, because that would be shirk. But James and Jude, brothers of Jesus, are not alone. Peter, too, calls himself a slave of Jesus. It is patently obvious what the men who lived closest to Jesus during His time on earth thought of Him. Why else would they have gone to their deaths to serve Him? But here's the next problem Muslims will have with this greeting. Muslims have been told that Jesus is only "a mere prophet." But can a mere prophet send apostles? Muslims say that only God can send messengers, so why do His followers call themselves apostles of Jesus? Remember that we are only examining the greetings here. Imagine what we might find if we actually read everything these men wrote about Jesus. But we aren't done with Peter's salutations yet. Now it is Peter who names the Trinity in vv. 1-2. Once again, we see the Father, the Spirit and the Son, Jesus, all mentioned as separate Persons from one another with distinctions in Their involvement in the salvation of men and their sanctification for service. Muslims need to note as well that, as we see in the last phrase of verse 2, Peter fully understood the Levitical mandate for the shedding of blood for the remission of sins and Jesus' participation in the Perfect Sacrifice. He would not be able to speak of "sprinkling with the blood of Jesus Christ" if there had been no crucifixion. More than anyone else among the Apostles, Peter was painfully aware of the crucifixion and death of Jesus because it was he who had sworn not to allow it, and yet he had been one of those who had quickly deserted the Master. But just like the others, Peter became a new man after Jesus' resurrection and Pentecost, going on to serve mightily and later die a martyr's death in wholehearted service of His God and King... Jesus. To those who have obtained a faith of equal privilege with ours through the righteousness of our God and Savior Jesus Christ. Oops. There is the Apostle Peter, calling Jesus "our God and Savior." I wonder if this verse needs any further explanation? But we have a few more verses left among our greetings. 3 What we have seen and heard we also declare to you, so that you may have fellowship along with us; and indeed our fellowship is with the Father and with His Son Jesus Christ. Apart from what has already been discussed in this same vein, one would have to ask what powers a mere man would have that would allow him to be able to fellowship with all believers all over the world simultaneously. Most Christians will recognize the Greek word which is translated as "fellowship" there. It's the word "koinonia," and it refers to an intimate and regular relationship. Obviously, only God can have that kind of relationship with His people, and here John is saying that Jesus is that God. 3 Grace, mercy, and peace will be with us from God the Father and from Jesus Christ, the Son of the Father, in truth and love. This is almost the same phrase as Paul's, but this time from the Apostle John. To those who are the called, loved by God the Father and kept by Jesus Christ. In the other half of Jude's first verse, we find another theological comment: those who are called and loved by the Father are kept by the Son, Jesus. Jesus taught this in the Gospels, too. 4 John: To the seven churches in Asia. 5 and from Jesus Christ, the faithful witness, the firstborn from the dead and the ruler of the kings of the earth. Once again we have the Pauline and Johannine blessing, after which John adds appellations for both the Father and the Son. Muslims are not likely to be too crazy about two of the titles for the Son since Islam denies that Jesus died and that He is the ruler of the kings of the earth. However, both prove that Jesus is God. Jesus is God, even in the salutations!